Last week, we took 8 of the best phones out there in the harsh mid-day sun for a photosession, and we asked you: which of those eight finest has the best display for outdoor use? The sun makes it harder to read anything on any phone’s display, but some are noticeably better than the others, with less reflections and higher brightness that puts less strain on the eyes. You were the jury, you've done your job of voting for your favorites and the verdict is in. In an almost unanimous decision, you've voted that the Samsung Galaxy S5 does best outdoors, with its brightest AMOLED screen to date that trumps even traditionally brighter LCD screens. With a whopping 57% of your votes, the S5 has a commanding lead over another Samsung, the Galaxy Note 3 that came in second. 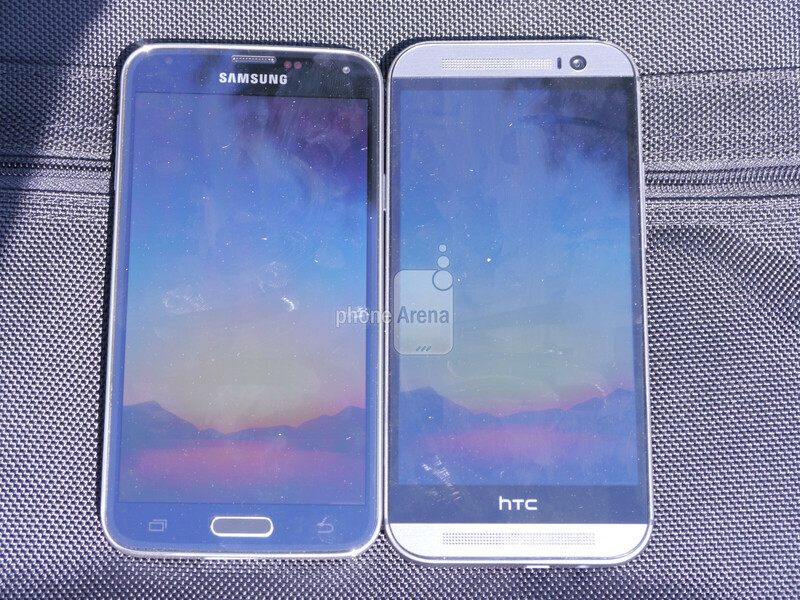 Third and fourth came the new HTC One M8 and the Apple iPhone 5s, respectively, with the HTC being ahead just slightly. 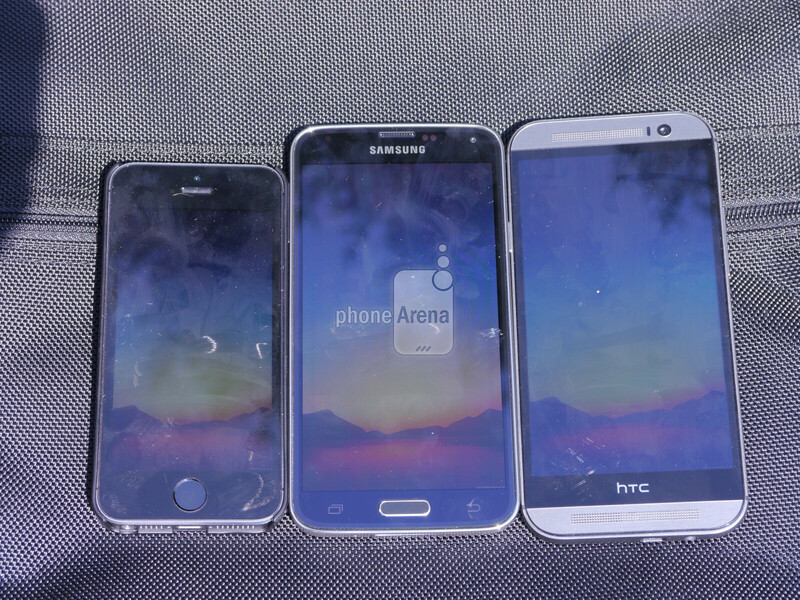 Next, we took out just the three best selling devices of the bunch: the Apple iPhone 5s, the Samsung Galaxy S5, and the HTC One M8 in a 3-way matchup. Once again, the Galaxy S5 got such an overwhelming advantage of more than 80% of your votes, that it seems like a clear winner, with almost no contest. Finally, we look at just the two top Android devices: the newly launched Galaxy S5 against the One M8. By now, it’s probably clear that one device with galactic ambitions will run away with this one: and it indeed does - the Galaxy S5, of course, comes up again with a crushing advantage. It got nearly 85% of the votes, while the M8 received only around 15%. 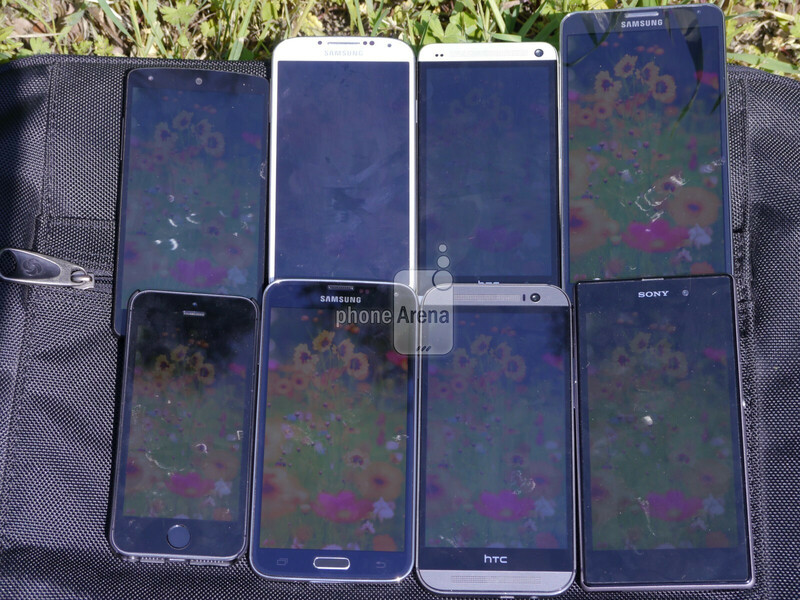 S5 has the best display, the rest are just using the same displays with minor tweaks. Good point, it is a risk Samsung took and it may yet pay greater dividends. They didn't wanted to let Nokia win. Lumia 1520 lost to Note 3 in sunlight contrast (and also overall display) at gsmarena. Note 3 was almost twice as bright to Lumia 1520 in sunlight. So I doubt it would come any closer to GS5 which crosses 650 nits mark. Also, Samsung spends billions developing its amOLED tech unlike Nokia which borrows and just calibrates according to their needs. As for Nokia Icon its not an international device. It might have lost to Note 3, but it can still compete against the Nexus, the one series and the fruit...doesn't mean they're not a worthy competitor. That should be checked. Talking about the fruit...the smudges makes me go wild!!! Yup. I second that.I was merely providing info based on comparisons available on the internet since PA, apparently, chose not to include Nokia. Its probably because iPhone still uses GG1. Although, retina is such an old tech it is best amongst all of them when you ignore amoleds. Um I definitely wouldn't say "By far".The S5 is just a tad better than the rest of the phones in comparison. You really wouldn't notice a difference in the real world. Where are the Lumia 925 & 930? Their screen is Gorgeous Outdoors!! SomeSong S5 wins. I can't believe I voted the S5 on these three polls lol. Btw, where is the Z2, G Pro 2 and Lumia 1520? I abstained from voting as it wasn't a fair comparison, lacking the Nokia flagships. Their ClearBlack displays are sublime, and we know Samsung has "borrowed" a lot of Nokia's screen tech, which is sad because Samsung ks trusted to make many of Nokia's screens. They only compared what they had on hand. Borrowed what? Amoled technology? Who are "we" here? I don't know. Nokia BOUGHT screens from Samsung, not Samsung is TRUSTED TO MAKE ok? So hilarious. Holy moly! They let Samsung win something?! I just wanna know who the girl in the picture is. Is it too much to ask for the displays to be cleaned prior to this comparison? Iphonearena messed up with the results. Note 3 wins anyday from the pics. Otherwise you got to be blind. Nokia missing discredits this entire post. I have a note 3 and a Lumia 920 and on full brightness, the Nokia is better. Put the note 3 on auto brightness blows them all away.Must be on auto brightness.